Every maker has a story. Be a part of HTP Concepts's story by placing an order, leaving a review, and seeing your review appear here. 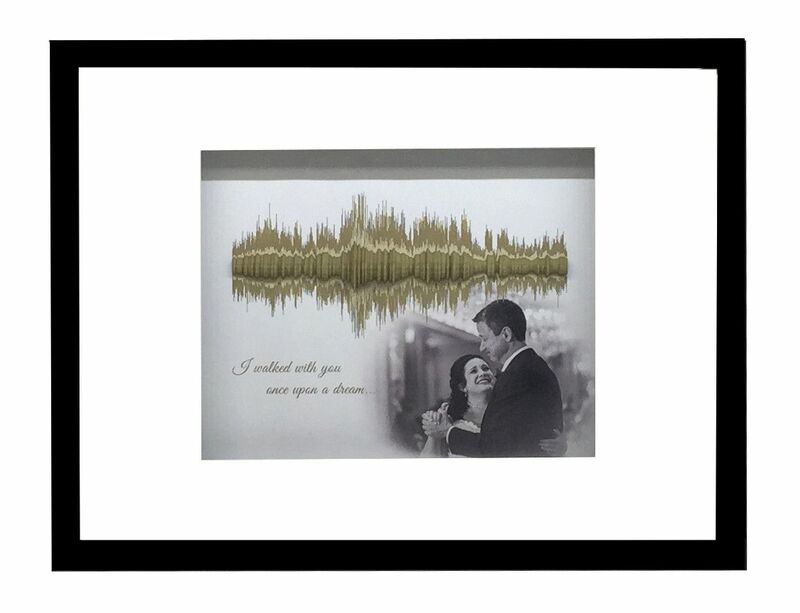 Personalized quote 3D sound wave print shadow box is a unique way to display your audio message/wish/audio memory. One of a kind birthday wish, anniversary gift. Recreate any audio in 3D. QR CODE CARD IS INCLUDED WITH YOUR ORDER. 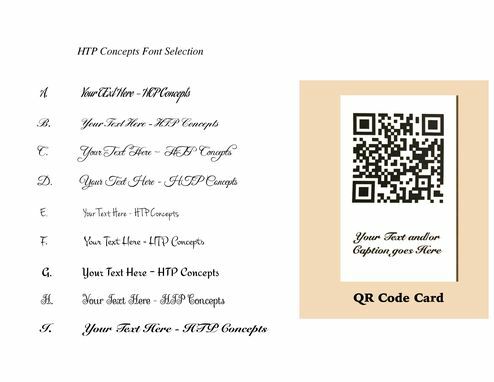 QR code will be printed on a small card with message of your choice. If you will not include a message for QR code card, standard message will be printed: " Scan to hear personal message from YOUR NAME". QR code can be scanned by a smart phone (multiple free apps are available for this on both apple and android platforms) and will begin to play your message/sound of the 3D sound wave. 12.5" x 16.5" and depth of 1 3/8" . 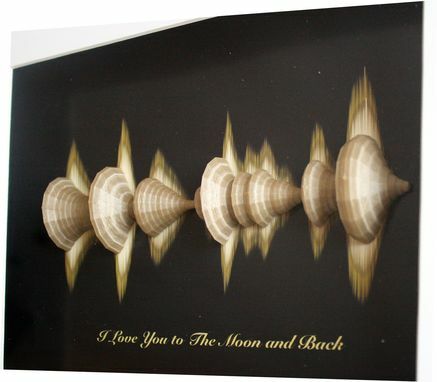 The area of matt opening is 7 1/2 x 9 1/2"
The background is printed on high quality matt photo paper and 3D print is made out of PLA or a PLA/PHA plastic. ( biodegradable material). 1. 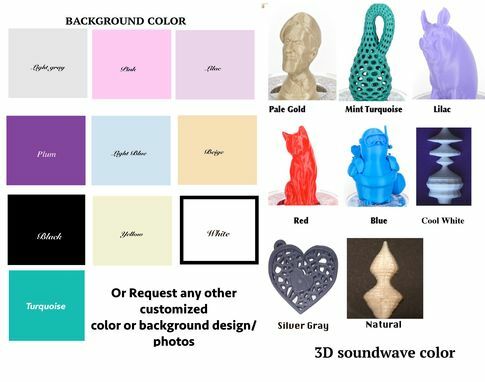 Select color for 3D sound wave, color of the background, and font for the caption --saturation of the color of the 3D wave and background may vary slightly due to appearance on computer screens and slight possible variation in printable material. 2. In the "Special instructions" box, provide what you want your caption to say. Please write it exactly as you want it to appear in the caption: Capitalization, quotation marks, multiple lines, etc. Also, include any comments/notes you may have. 4. 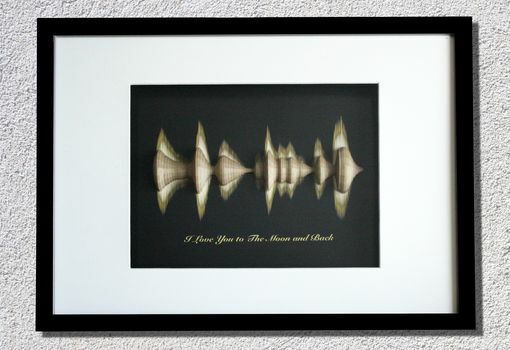 Create your audio file using your computer, tablet, smart phone or any other handheld device; and/or email the song/lyrics to be used for 3D sound wave creation. 5. Send your audio file to CustomMade and include your name.